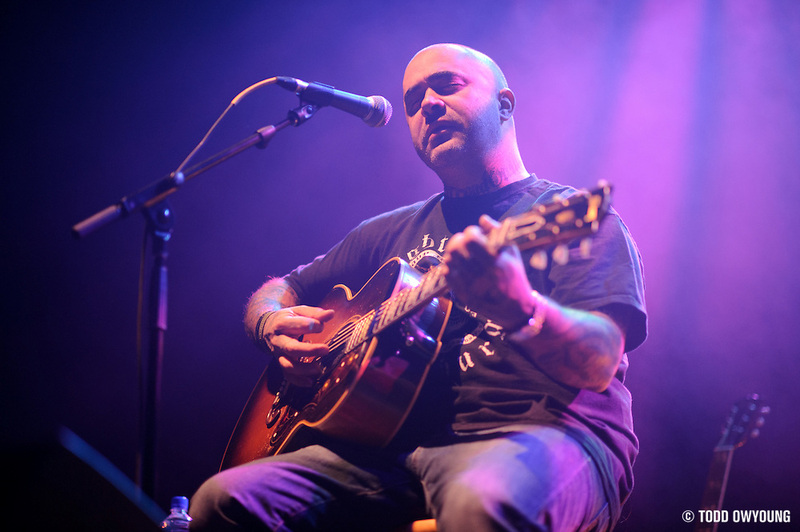 Aaron Lewis, frontman of the rock group Staind, performing on his Solo & Acoustic tour at the Pageant. While lighting was quite low on Lewis, a combination of VR and fast f/1.4 made the most out of this treatment. For this gig, I had a pretty idea going in that it was going to be a very dark shoot, so I brought a bag full of f/1.4 primes. For this image, I used the Nikon 85mm f/1.4, which is a gorgeous AF-S update of Nikon's previous AF-D model. So far in my shooting with this lens, I'm noticing better contrast and an overall improvement in lowlight performance over the older lens, which I own. Stay tuned for the full set of images from the show, as well as the my full review of the Nikon 85mm f/1.4.